ISSUE: After some use the plug will begin to project from the cylinder face and will ultimately pull completely out. 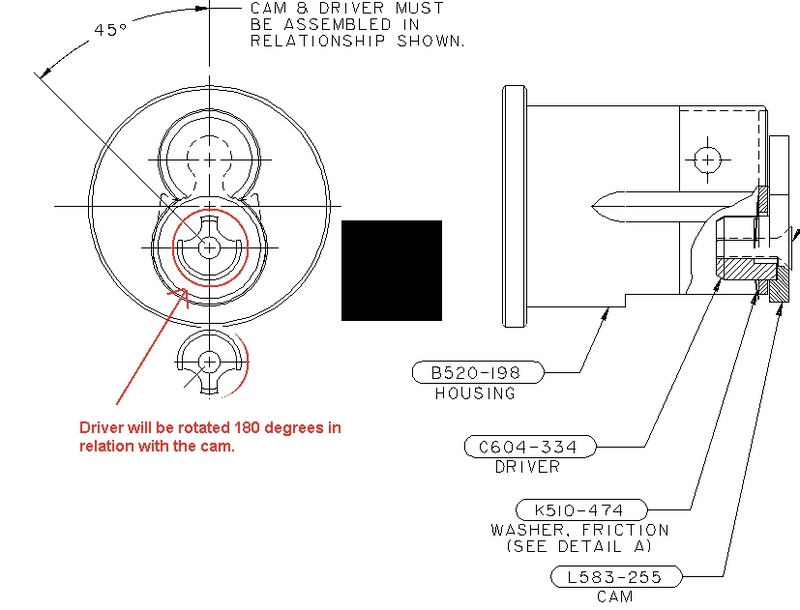 ROOT CAUSE: In a dogged application the cam was rotated 180 degrees which also rotated the internal driver. The driver is then out sync with the back of the core. When the interchangeable core is installed the cap pin does not line up with the cutout in the driver. The cap pin then disengages from the knurled cap allowing the cap to rotate off then the plug eventually pulls out. SOLUTION: In a dogged application the cam must be removed, rotated, and then reinstalled keeping the driver in the housing in place. See image, top is correct.